Oorzaak zijn 2 coronale gaten die nu aardegericht zijn. 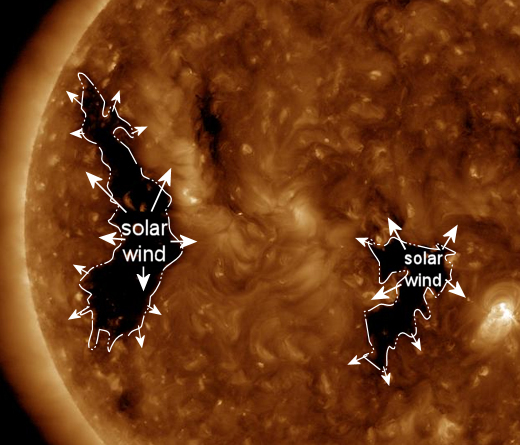 These are "coronal holes"--places in the sun's atmosphere where magnetic fields open up and allow solar wind to escape. They are dark because the glowing-hot plasma normally contained there is missing, now en route to Earth. Kickoff!! nice little light show over Fairbanks ??????? ?